How did you get started running? When my daughter left for college in 2012, I signed up for spin classes. Then I asked Jim if I could go on a run with him and I enjoyed it. From that moment I signed up for a couple of races and just kept running. Favorite distance to run: My favorite distance is a ½ marathon. Before leaving NY that is all I was running. I am currently signed up for 2. 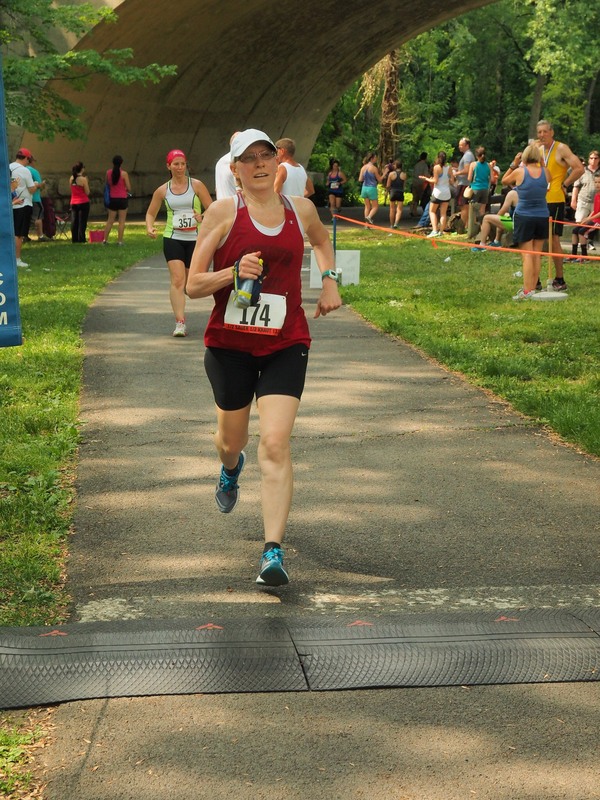 Favorite race: Shape Women’s Half Marathon in New York City in 2015. The race is 2+ laps around Central Park. The time I ran Deena Kastor was running. As Deena was making her way on her second lap there were race officials on bikes making sure everyone stayed to the left as Deena passed on our right. The cheering for her was so loud as she was approaching and as she ran past everyone she was waving and smiling at everyone. I can say that I ran with Deena Kastor for about split second. 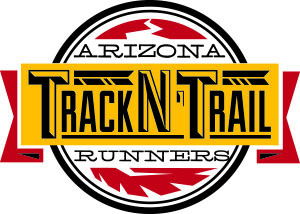 Favorite Track N Trail event: Wednesday track workouts and planks and glad I was able to experience the Grand Canyon trip. Favorite place to run: My favorite place to run is back in New York at the Saratoga Battlefield. It is a 10 mile loop with true rolling hills and the last mile is all uphill. Once I run this I was ready for any race. Favorite Song to Listen to while running: I do not listen to music while running. I always come up with a mantra to repeat. If you could run anywhere in the world where would it be? I would love to do a Carribean Running Cruise. Other Hobbies: I loved to bike and do yoga. Advice for new runners: Doesn’t matter what speed you go or how long it takes, you’re getting healthier and stronger with every step.